So much of our world today is automatically translated for us; but, we should still put thorough consideration toward creating ads targeted to people who speak different languages. 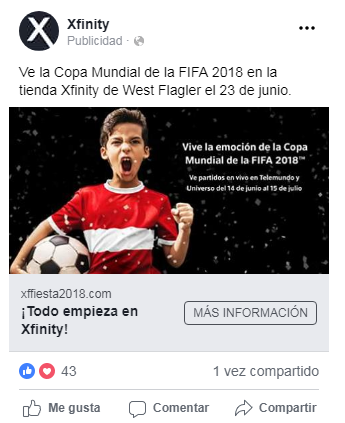 When Comcast tasked us with creating Facebook Ads in Spanish, we took a few extra steps to engage our bilingual team members and ensure that our intended linguistics and meaning would be properly expressed through the ad. First, we connected with our Spanish-fluent co-workers to craft copy that Spanish speakers could understand. We did not want to rely on Google Translate with Comcast’s advertising dollars at stake since there were unique dialogues and colloquialisms in play with the text. Be sure to work with someone fluent in the intended audience’s language–authenticity is key. Broken or improper language translations create barriers between the content and its target. Next, we incorporated the approved copy into the advertisement image. Digital platforms and web browsers cannot auto-translate words embedded into images. There are apps and translation plugins that can convert image texts into other languages, but, in this case, the goal was to speak directly to the audience without them needing to enable translation tools. At this point, our ad was looking great. 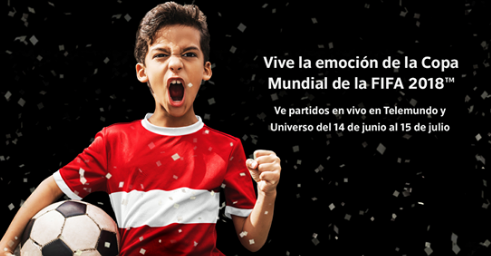 We had the right language for our text, the translated copy placed into the image, and we were targeting Spanish speakers. However, when we went to preview our ad, the call-to-action buttons were still in English. What were we missing? Language settings. In the Facebook settings for a personal account, the user can choose their own language. This determines the language of the call-to-action buttons. Once we changed our settings to Spanish, we were able to preview the ad as Spanish speakers. We could now send the correct screenshots to the Comcast team for a final review. Custom language ads are a great way to connect with a wider audience, if you walk through all the steps needed to properly use the language and respect the targeted culture.